There can be some control over the physical aging process with a healthy lifestyle, but the fact of aging is inevitable. However, people can have much control over their attitude toward aging. 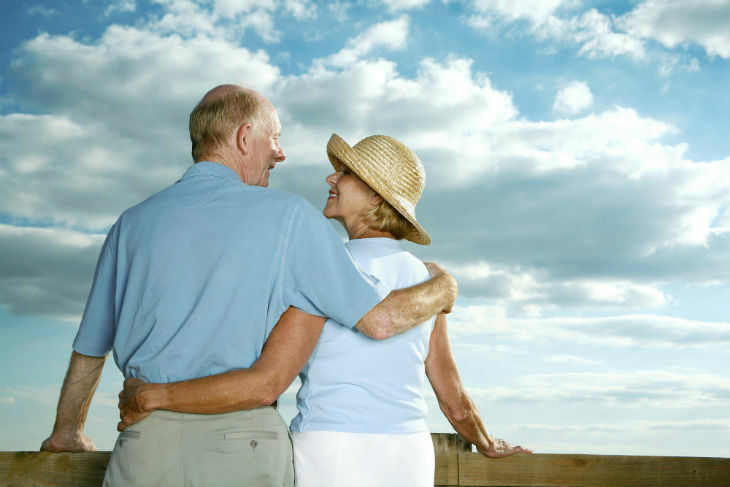 The following are 10 things seniors can do to nurture a positive, youthful attitude and stay young at heart. Everyone has hobbies and interests that they enjoyed in younger days but had to neglect for fulfilling their needs and raising a family. Retirement is the time for seniors to enjoy the old ones and try new hobbies as well. Many aging adults partake in choruses and bands just like high school days, while others pursue art, writing, photography, crafts, and even completing or continuing their education. Seniors may have found a lot of people who have made them feel bad or depressed about themselves, whether during the time of education or making a career. The golden years is not the time to keep up with such people, it is actually the time to find positivity and happiness that their lives lacked all these years. Seniors can now make a decision with whom they should be spending more time. In fact, our attitude and enjoyment are mostly influenced by those we are associated the most. Above all, meeting and greeting new people can be a fun and interesting way to enhance the social circle. Seniors who are not mobility impaired can consider engaging in a low-impact sport like golf, biking, swimming, pickleball, and bowling. They should take at least a 30-minute walk 3 to 4 days a week. If keeping up with physical activity alone is not an option. Seniors can also join clubs that go on outings to get the opportunity to meet new people, get new experiences, and make new memories. Seniors can start by exploring their own city, like parks, restaurants, and museums, for which they never had time during their years of responsibilities. Due to the age-related physical weakness, there may be some things seniors cannot do anymore, so they should focus on those they can do. The senior’s years may come with loads of challenges but there are positivity and happiness in life somewhere. Complaining about things and being resentful all the time won’t make any difference and no one likes to be with bitter people. With the wisdom of a lifetime, seniors should strive to be kind, gracious, and thankful. Aging may not always be easy, but it is a freedom that has been denied to some. Some seniors may get surprised at how many younger people enjoy the company of older adults. This proves that age is just a number and people are now more concerned about the attitude, personality, and common interests. In fact, young people can add vitality and fresh perspective to a senior’s life. Seniors may also serve as a source of wisdom and stability for them. Seniors who live alone or have limited mobility, isolation is not the only option for them. They should interact with others by inviting friends over a lunch, tea, or dinner. If they like to venture out, they can consider hiring senior care services who can offer transportation and other types of help they may need. With latest developments in lifestyles and new emerging health conditions, keeping up with modern technology has never been so important. Being able to use the internet can enable seniors to learn about the symptoms of a health condition they are facing, explore different things in the world, and make travel plans. Technology also allows seniors to start earning online by doing a freelance job. Electronic tools like messengers, text messaging, and social media platforms have replaced telephones and letters, being the most preferred means of communication at the present time. Many seniors want to catch up with old friends and relatives with whom they haven’t had a word for years because of the busyness of life. They can take benefit of the internet and get in touch with their loved ones to recall old memories and make new ones as well. Seniors should familiarize themselves with the modern culture. While they may not be much interested in the modern entertainment and music trends, they may still have a passing familiarity that what they are. The old “Saturday Night Live” is still as relevant and funny as it was back in the 70s and 80s. Seniors should stay updated with the current events and get news about their interests to keep the information flowing in their golden years. Many seniors may have met other seniors who seem to think they have gained the right to speak whatever and about whoever they want, especially when it comes to criticism and judgments. Even at this age, they still need to have decorum. Seniors should be mindful of repeating the same stories and jokes over and over again; those with cognitive and memory issues have an exception. Remembering good times of the past while forgetting about the challenges is good and easy. Since every decade has its own share of social injustices, corrupt politicians, and international conflicts, constantly comparing everything to the past may not be a good idea. Even if the old days were golden, those went by, so today is the time seniors should make the most of. Some seniors neglect their need to look good because they may not be able to go outside the house. While going out is not the only reason to look good, buying a new outfit, getting a makeover, and pampering the body with a massage can make seniors feel good about themselves. They should cater their own needs from time to time to boost their spirit and inner glow. With the rise in physical frailty and multiple health conditions in the senior years, staying young at heart requires work. Aging well is essential for physical, mental, and emotional health, and making healthy and happy lifestyle changes can have a positive impact on seniors’ lives. Author Bio: Ilean Jane works as a content writer at Home Care Assistance of Mesa. She is a fun and adventure loving person and believes that life is all about positivity and helping others find positivity. This the reason she mostly wirtes about how people can manage the challenges of life at any stage of life.